Once upon a time (1888, to be exact), a wealthy New York "prince" by the name of George Washington Vanderbilt—grandson of millionaire shipping magnate Cornelius "Commodore" Vanderbilt—fell in love with North Carolina's Blue Ridge Mountains. There, far from the social whirl and hard winters of Gilded Age New York and Newport, the bookish young man decided to build his "country retreat." The result was the sumptuous 175,000-square-foot Biltmore, where George and his wife, Edith Stuyvesant Dresser Vanderbilt, would transform the economy, industry, and physical landscape of western North Carolina…and play host to such luminaries as Edith Wharton, Henry James, Frederick Law Olmsted, Theodore Roosevelt, and Woodrow Wilson. But when George's untimely death forced Edith to take control of the vast estate—which supported thousands of people, including villagers, farmers, artisans, and foresters—she rose to the challenge in spectacular fashion. 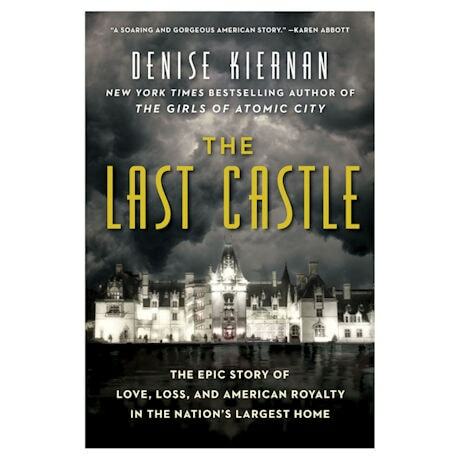 A fascinating multipart history of a family, a house, even at times our nation itself, The Last Castle will enchant you!